The article below explains potential reasons for a high energy bill and how to resolve it. You can save an average of £482* by switching energy and we’ll do all the work for you. It just takes one call. Find out more by filling in the form. 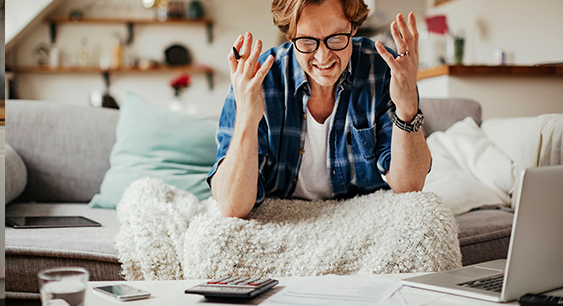 None of us want to be landed with an eye-popping energy bill, but there are any number of reasons why you could be paying over the odds for your gas and electricity. These are explained below. You’re on an expensive tariff: If your fixed price tariff has expired, you may have been moved onto a standard (more expensive) tariff and will need to switch. Your discounts have ended: If an introductory discount has expired you could switch to a cheaper deal before your contract ends, but you may face cancellation fees. You’ve moved from estimated billing to accurate billing: Without regular meter readings, your supplier will estimate your bill based on your previous year’s usage and UK averages. When you submit a reading, you’ll receive a revised bill that may be higher than expected. You’ve used more energy than usual: This may be due to colder weather, more time spent at home, more people in your home or because you’re using more appliances. Your meter isn’t working correctly: Your meter may be generating inaccurate readings. You can check your electricity meter by turning off all the circuits in your fuse box and monitoring whether your readings are still going up. Your supplier has made a mistake on your bill: It’s important to check your bills to ensure they’re correct as they could have billed you to the wrong meter, or property. Your appliances are faulty: There could be an electrical fault with one of your machines, or a fault with the wiring. It’s important to get this checked by an electrician. Your home isn’t energy efficient: This means your heating or cooling systems will be working harder than typically required, as air is being lost through your walls, windows and doors. Install cavity wall insulation and loft insulation. Install double glazing for all windows. Install draft excluders on all doors and windows, including your letterbox. Turn thermostats down at least one degree lower than usual. Turn heating down or off in rooms you don’t use often. Use energy efficient light bulbs throughout your home. Turn off and unplug appliances when not in use, instead of leaving them on standby. Use energy efficient settings on appliances such as washing machines and dishwashers. How do I resolve an issue with a high energy bill? Call your supplier to explain the situation - have your bill to hand as you may need to give dates, reference numbers and readings. Make a note of the time and date of your call and who you spoke to, so it’s easier to follow up on the issue. Your supplier should work with you resolve the issue, but if you’re having trouble you can make a complaint. If the problem isn’t resolved within eight weeks, you can take your complaint to the Energy Ombudsman Service. If your supplier isn’t at fault, you’ll be liable to pay the full bill. In this case, your supplier can help by arranging a repayment plan and you could switch to cheaper tariff. Save up to £482 on your energy bills: Between 1 April 2017 and 30 September 2017, at least 10% of people who switched energy supplier for both gas & electricity with uSwitch.com saved £482 or more.